The cafe's very homey. It was actually my first time in this place. 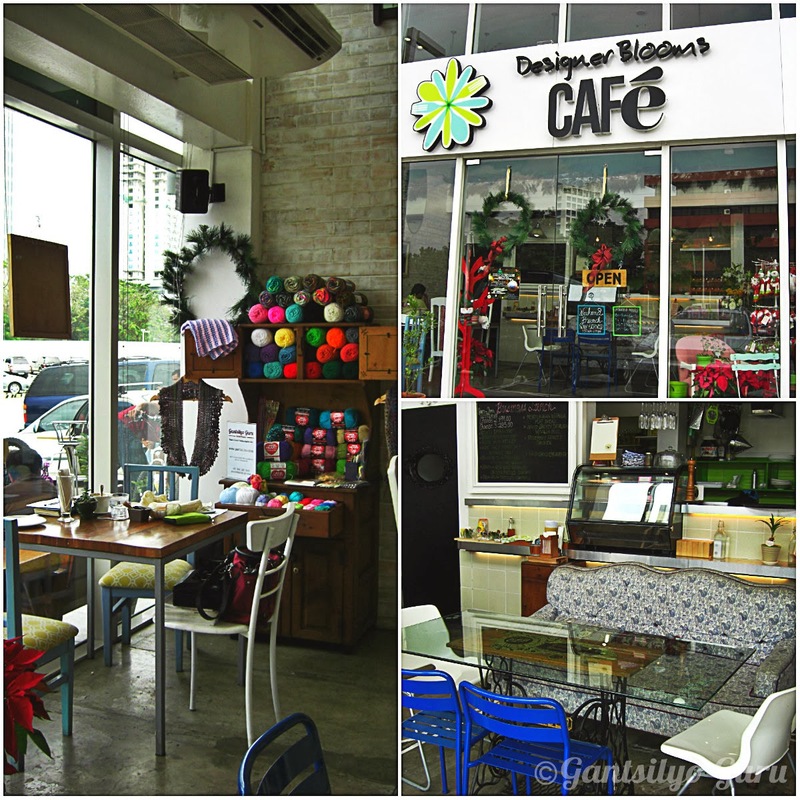 It has a craft-friendly vibe! 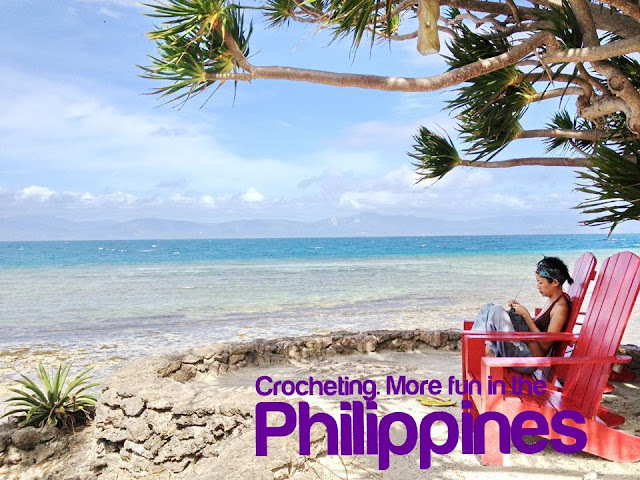 I had a great time crocheting here and holding a 1-on-1 crochet tutorial. We were also accompanied by great food. I can't believe I actually spent an entire day here because it went by so fast. Hanging out here with crochet and the company of yarn and friends made my trip to Alabang worthwhile. That's my friend, Kaia (bottom right). 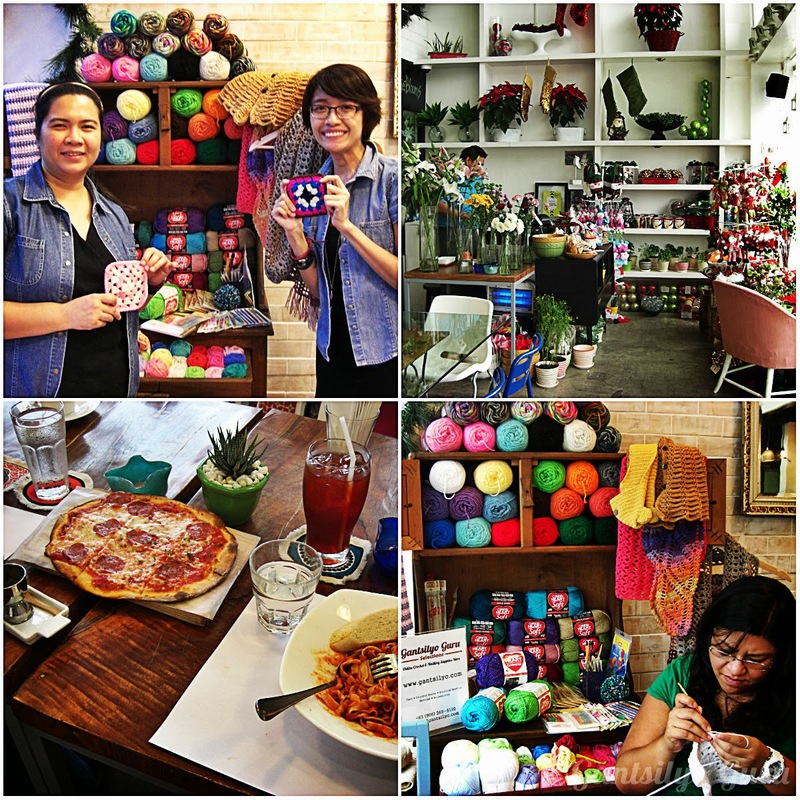 Apart from being the Master Baker at Comfort Zone, she is also a crocheter! 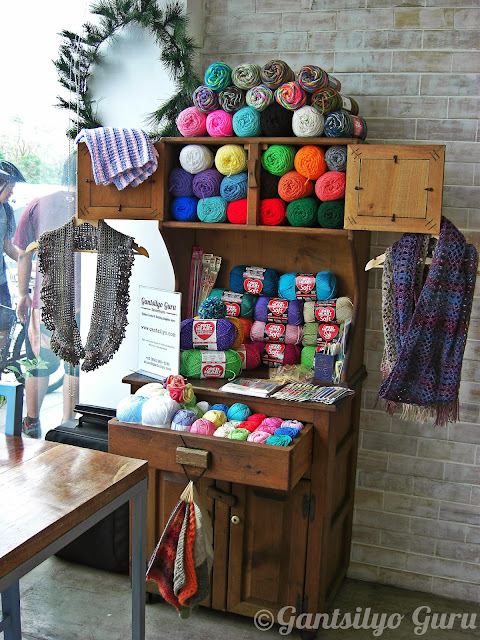 She passed by Designer Blooms to crochet with me and hang out with all those skeins of yarn. 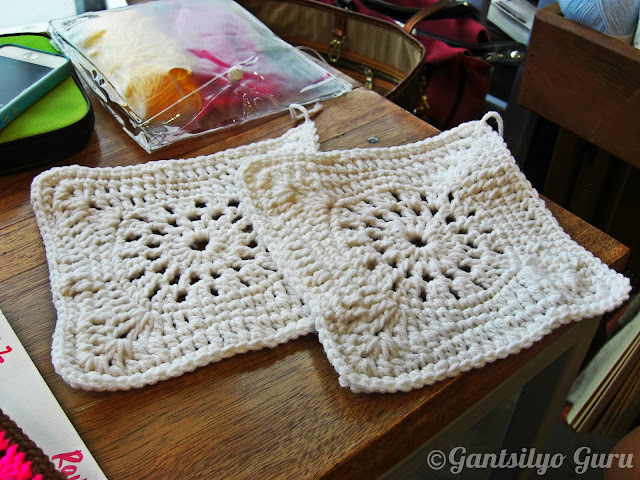 She's in the middle of crocheting a big square motif which is only a piece out of the 80+ she has already done to complete the required 140+ pieces for a bedspread! The patience! I gotta give it to this girl for her dedication! Check out the 2 pieces she made while she was in the cafe (within the span of less than an hour). 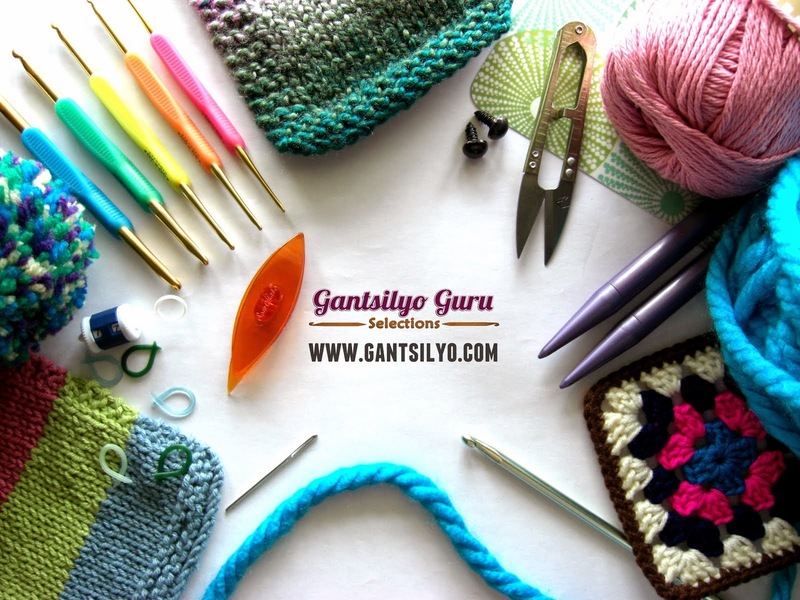 I plan on holding another crochet workshop here next year. I want to go back! 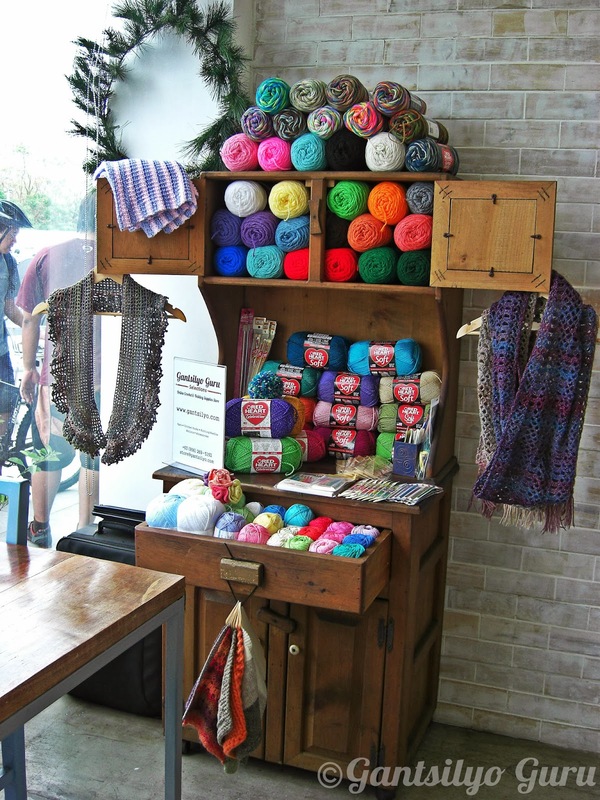 :) I will be featuring my yarn cabinet on another entry when it made its more public debut in Ayala Alabang.